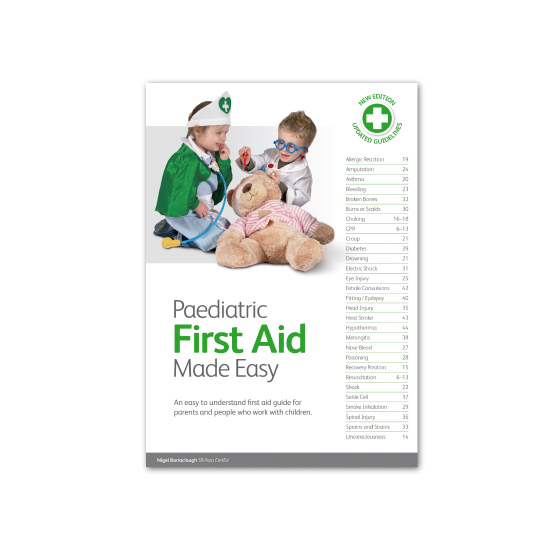 (A5) Paediatric First Aid Made Easy has been designed to complement first aid training for parents or people who work with young children. Updated with the latest CPR guidelines (released October 2010). Simple, accurate information with lots of full colour pictures and diagrams. 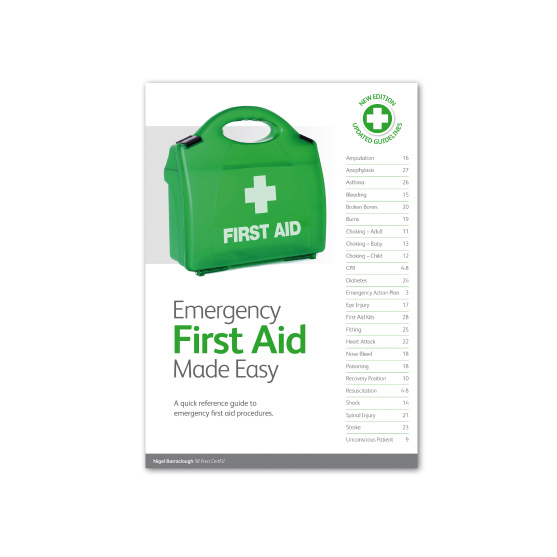 (A5) Emergency First Aid Made Easy perfectly complements shorter first aid courses and is specifically designed to meet the requirements of the Level 2 Award in Emergency First Aid at Work (QCF). 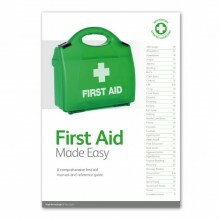 Updated with BS-8599 workplace first aid kit information. Simple, accurate information with lots of full colour pictures and updated diagrams. Updated logical, easy to understand page layout. (A4) The layout allows very clear, in-depth, yet easy to understand descriptions of many first aid theories. 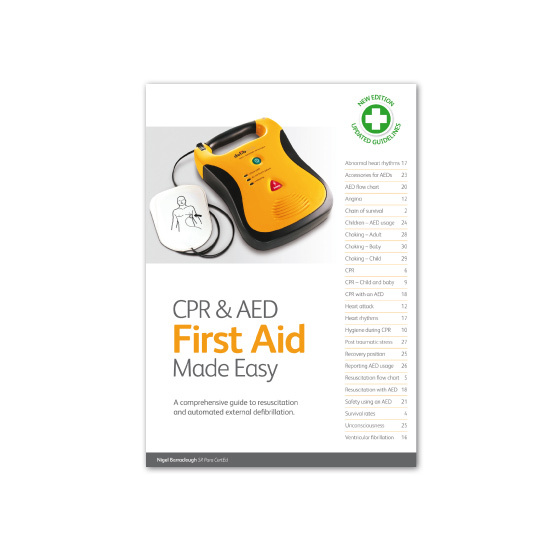 (A5) CPR and AED First Aid Made Easy has been designed to complement Automated External Defibrillation courses. Logical, easy to understand page layout. 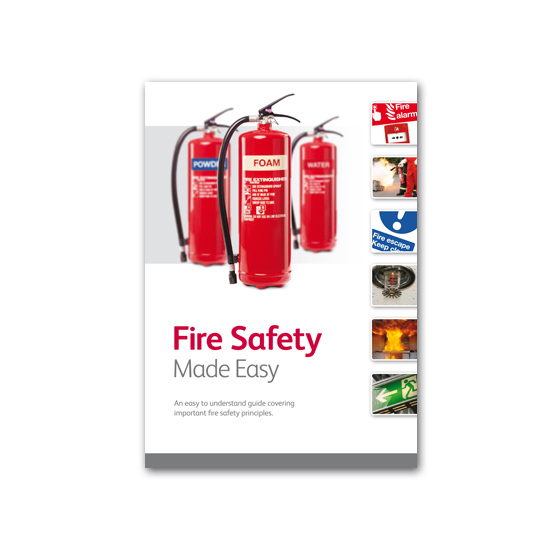 (A4) Fire Safety Made Easy has been designed to complement a range of Fire Safety and awareness courses. 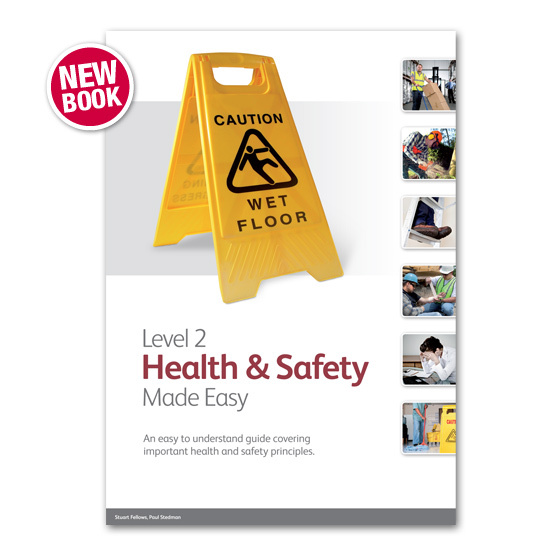 (A4) Level 2 Health & Safety Made Easy is an easy to understand guide designed to complement any level 2 Health and Safety course.